If you have got two iPad on hand and you want to transfer photos from iPad to iPad, what can you do? If you are not clear on the ways to solve this problem, you can check out this guidance to help you. This tutorial contains 5 easy ways for you to choose to transfer photos between iPads, such as iCloud, Messages, Bluetooth and etc. In order to transfer photos from old iPad to new iPad, you can use the iCloud settings to help you to make it. You can also sync other types of files and data by using this method to enable the library you need to transfer between iPads. 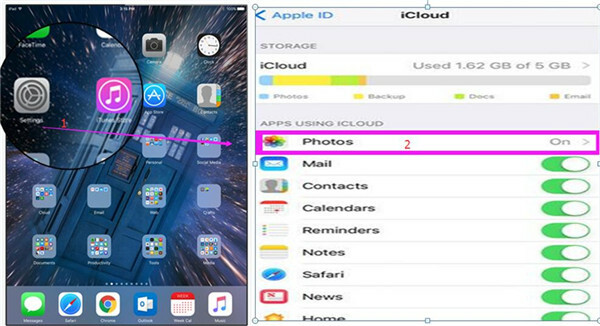 This guidance in this part will show you how to transfer photos between iPads via iCloud in detail. Continue to read the following passages and you will get the answer to the problem. 1. On your old iPad, click on “Settings > Name/Apple ID > iCloud”. Then you need to enable “Photos” by tapping this option. You also have to make sure that your old iPad is connected to good Wi-Fi network, and then your photos on your old iPad will be synced to your iCloud. 2. On your new iPad, do what you have done on your old iPad. You also need to make sure your new iPad is connected to Wi-Fi. Finally, you can click on “Merge” in the pop-up panel to sync the iCloud photos to your new iPad. Thus, you can solve the problem of how to transfer photos to new iPad easily by using a few taps. Note: If you do not use the same iCloud account on your new iPad with what you used in the old one. You need to first sign out the iCloud account on your new iPad and log into the same account as the one you are using one the old iPad. As for how to transfer photos to new iPad from the old one, you can use this method. If you do not like to use this solution to help you to transfer photos between iPads, you can also take advantage of Message app to assist you. In the second part, you will know transfer photos from old iPad to new iPad with Messages. This method is a little outdated to transfer photos from iPad to iPad. I will simply illustrate this solution to help you to transfer photos between iPads with Messages if you only have several photos waiting to be transferred to the new iPad. 1. On your old iPad, open the Photos app on your iPhone and click to open the photo you would like to transfer to your new iPad. 2. Click on the share button and choose the pictures. Then you need to choose the“Message” panel. 3. Enter your new iPad’s phone number and click on “Send”. When the message is sent, it will show in the Message app on your new iPad. 4. Open the message on your new iPad and press to hold on the attached picture. Finally, you can choose “Save” to download the photos to your new iPad. The iPad to iPad photo transfer is not a tough work as shown in the above. However, this method is quite old fashioned and it is troublesome to send the photos one by one. If you want to transfer photos between iPads more effectively, you can use Bluetooth to help you to make it. 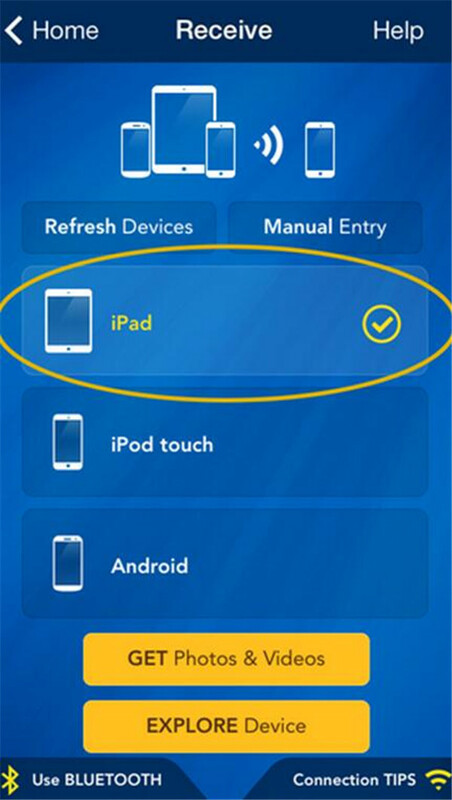 In order to transfer photos between iPads with Bluetooth, you need to make sure that both of your iPads have been installed this Photo Transfer app and both are connected to the same good Wi-Fi network for preparation. 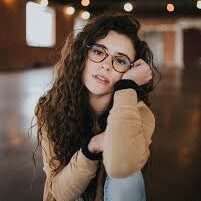 This application is easy to handle and if you want to know the detailed introductions, you can continue to read the following contents. 1. On your old iPad, click to open the Photo Transfer app on your home screen and click on the button named “SEND”. Then you need to click on “OTHER Device > SELECT” panel to select the photos you want to transfer to your new iPad. 2. On your new iPad, you need to open the Photo Transfer app and click on the “REFRESH Devices” button to find the sender on the network. Then you need to choose the old iPad that you want to get the pictures from. Click on the “GET Photos & Videos” button to begin the transfer. Then you will get the photos from your old iPad. Finally you can view and edit the photos from your old iPad in the Photos app on the new one. You can use Photo Transfer app to help you to transfer photos to new iPad via Bluetooth. This is quite direct and you can transfer photos between iPads without any difficulty at all. To use Windows Explorer to help you to transfer photos to new iPad, you will be asked to install no third-party software. This is quite simple to handle. Let’s check out the detailed steps on how to realize iPad to iPad photo transfer with Windows Explorer. 1. Connect both of your iPads with your computer with suitable USB cables. 2. Open the Windows Explorer from your desktop. You can also use the Windows key + E shortcut on your keyboard to launch it. 3. Click on the arrow next to “This PC” in the panel on the left side of the interface. 4. Click on the name of your old iPad in the sub-menu of “This PC”. 5. Then you need o double click on the “Internal Storage > DCIM”. 6. Double click on the folder that contains all photos on the old iPad. Then you need to tap a photo. You can also hold the Ctrl key on your keyboard and tap to choose multiple photos at a time. If you want to select all pictures, you can use the Ctrl + A shortcut on your keyboard. 7. Then you need to tap “Copy to > Choose location” to choose a location on your new iPad. You can also tap one of the options shown in the drop-down menu. 8. Then you need to tap a folder on your new iPad to save the photos. Click on “Copy” to finish your operation. You should make sure both of your iPads are connected to your computer well during the procedure. This solution to transfer photos between iPads is a bit complex. Actually, you can use a professional program to assist you to solve how to transfer photos from iPad to iPad more effectively. Follow me to read the last part of the guidance, and you will know its powerful functions. By using this professional transfer tool, you will be able to realize iPad to iPad photo transfer accurately and quickly. 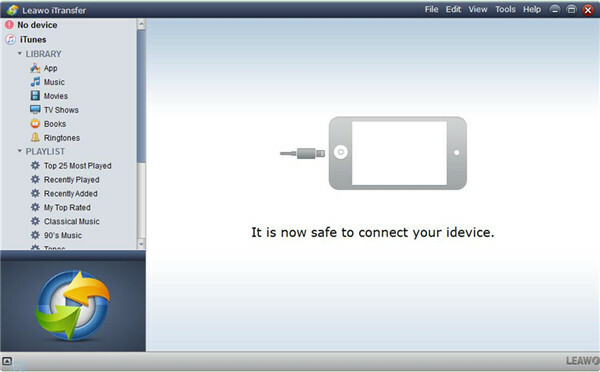 It enables you to manage and transfer up to 12 kinds of files among computers, iDevices and iTunes. You can take advantage of this software to help you to transfer photos from old iPad to new iPad without any difficulty. First you need to download and install this program on your computer and export the photos from your old iPad to your computer. Then you can import the photos to your new iPad. Let’s check out the specific steps to make iPad to iPad photo transfer come true. In this part, I will show you how to export the photos you need to your computer for later use with iTransfer. 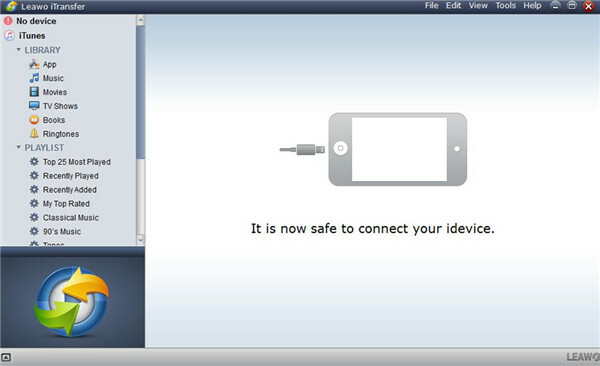 Launch the Leawo iTransfer on your PC and then plug you old iPad to your computer via suitable USB cable. The information of your old iPad will show in the interface. Click on the icon of your old iPad and then head to “LIBRARY > Photos” to see all photos on your old iPad. Then you need to choose the pictures you want to export to your computer for later use. Right click on one of the pictures and tap “Transfer to > My Computer”. In the pop-up box, you need to click “Change” to set the output folder on your computer. Finally you need to click on “Transfer Now” to export the photos you have selected to PC. When the transfer is over, you can get the photos on your old iPad on your computer. After you have exported your photos on old iPad to your computer in a folder, you can continue to read this part on how to import photos from PC to your new iPad to solve how to transfer photos between iPads completely. You can unplug your old iPad after you exported the photos you need from it. Then you need to plug your new iPad to your computer. The software will detect your iPad automatically. Navigate to “iPad icon > LIBRARY > Photos > Add”. 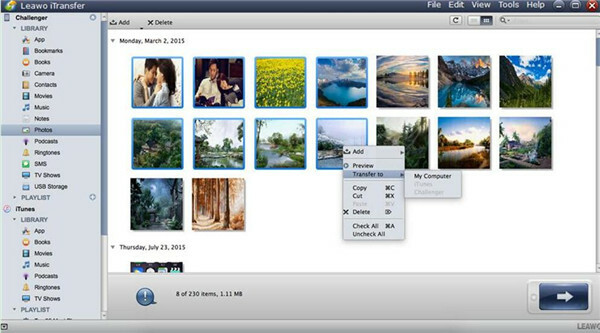 Then you can find the exported photos on your computer and click the “Open” button to start the transfer procedure. After the transfer is over, the photos on your old iPad will be viewable on your new one. Compared with other 4 methods listed above, Leawo iTransfer is the perfect one. It almost has no limitations and is quite easy to handle. You can just run the software and then select your needed files to transfer between iPad to iPad over computer. If you want to solve how to transfer photos from iPad to iPad, I strongly suggest you use iTransfer.